Teaching Teens in the 21st: The First Post since August!! The First Post since August!! Oh my gosh, everyone, I can't can believe I haven't blogged since August! It has been one heck of a school year, and I have had to give up certain "fun" hobbies in order to stay afloat. I hope everyone had a great first half of the school year! 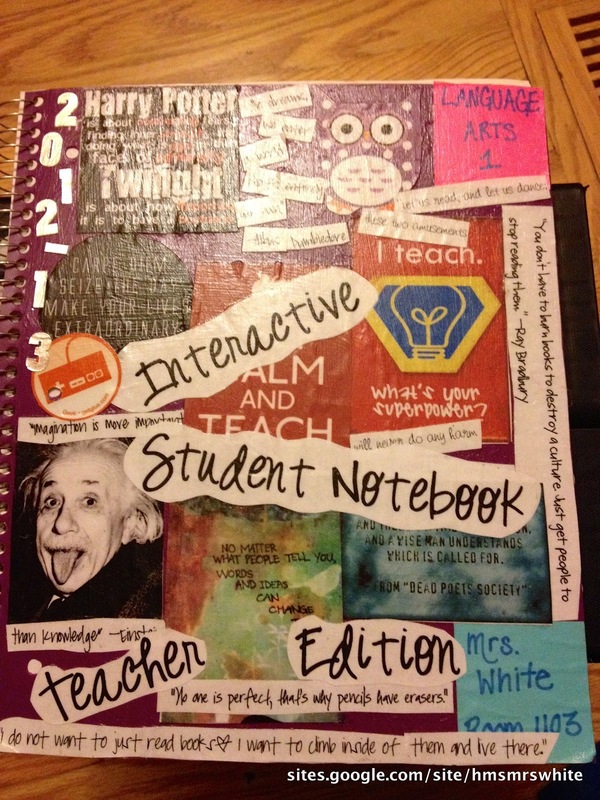 I wanted to share really quick one of the reasons I have been MIA for so long, and that is my 7th Grade Interactive Student Notebook! It was all consuming, but honestly, the BEST teaching strategy I have ever used in my classroom. My students loved it too! Hello! I run a Middle School Blog Log. Please check it out and see if you want to join. This is amazing! The best I have seen! I am struggling with the notebook... I tried last year and it turned out only okay. I want to do it right this year. Where did you get the worksheets you printed out? I would love to not have to remake the wheel! Thank you! Could you share with me things you learned about trying this out? I'm really eager to do this starting the new school year, but not quite sure where to begin. Your two cents would be greatly appreciated! I am so thankful you posted this, as a middle school English teacher! I am teaching 6th grade in the fall. 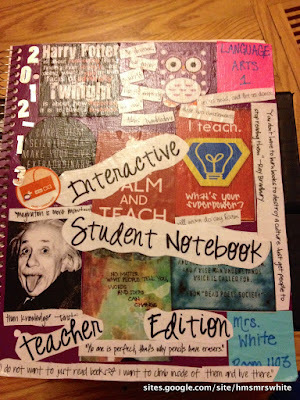 I'm desperate to incorporate interactive notebooks into my classroom, but I'm not sure where to start. This will be my first year teaching, so I'm not quite sure what to expect. How did you get the ball rolling on this? Also, please consider following my blog. It would be such a great help, as I'm trying to be a support system for other first year teachers, and other middle school teachers. I am a Grade 7 Teacher here in the Philippines. Is this applicable to Music, Art, P.E. and Health subject? Do you sell the hard copy version of these or just the digital on TPT?